This skin disease happens when your immune system sends faulty signals and skin cells grow too quickly. These pile up in red patches, often with silvery scales. 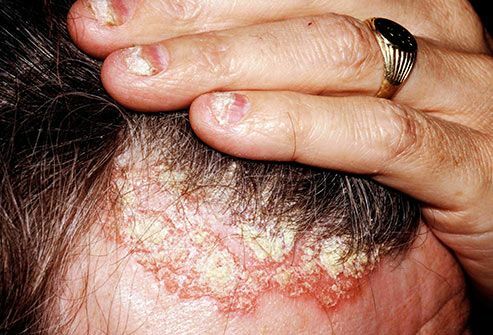 At least half the people with psoriasis have it on their scalp. But you can also get it on your forehead, behind the ears, and down the back of your neck. 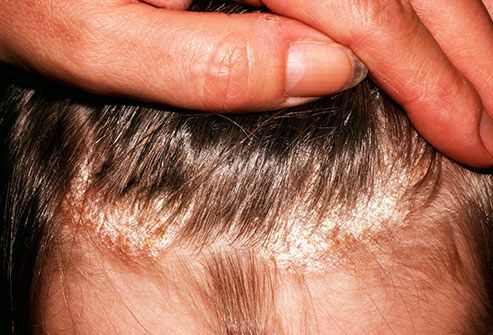 You can’t catch scalp psoriasis from someone else who has it. It’s not contagious. It’s hereditary. It’s something that's passed along in your family’s genes. Most people who get psoriasis have at least one person in their family with the disease. The most common form of the disease is plaque psoriasis. It looks like areas of thick, swollen, red patches with well-defined edges. On top of these areas are the silvery-white scales. It's easy to knock them off and cause bleeding, so be gentle with yourself when you comb your hair, shampoo, or put on and take off hats. Salicylic shampoos and other solutions can help with scales. 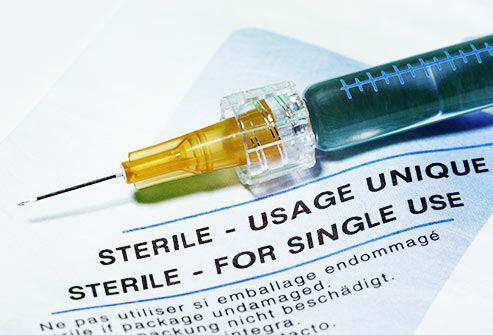 Doctors can also prescribe high-potency steroids in the form of creams, gels, solutions, and foams. Creams can be greasy, so you may want to try the others on your scalp. It might help to put clobetasol foam, a corticosteroid, directly on damp skin. This is available in a prescription spray, too. Because skin cells grow and reach the surface of your skin too fast, they tend to pile up and flake off. This can look like dandruff. 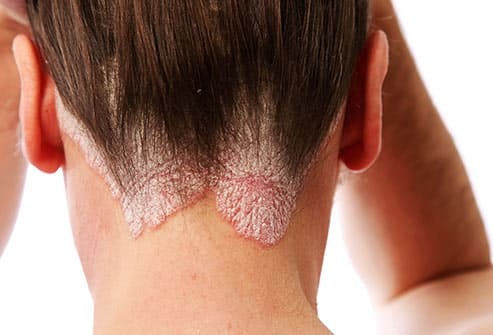 But unlike that, scalp psoriasis causes a silvery sheen and dry scales. Dandruff can be waxy or greasy. Several kinds, both over the counter and prescription, can help. Try selenium sulfide (1%) or tar-based ones for thin plaques. 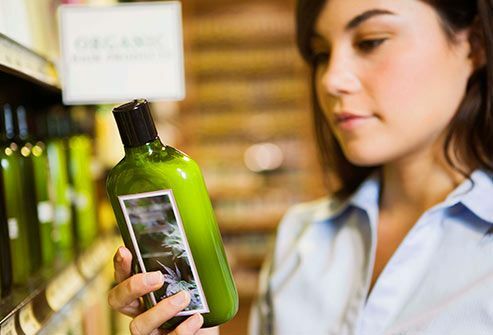 For thicker scales, salicylic acid shampoos can work well. Not all of these work for every person. You may have to try one for a few weeks and switch to another if it doesn’t work. Use the medicated shampoo first when you’d normally lather up. It’s OK to use your regular shampoo and conditioner afterward. Know that tar-based options can be a bit smelly. This can be one of the toughest parts of having psoriasis. It can be intense and non-stop. To some people it feels like a burning sensation. No matter how bad it gets, try not to scratch. While it may feel good in the moment, it can break open the skin and make you bleed. That can set you up for hair loss and a possible infection. If you spot swollen lymph nodes, it can be a sign of an infection. Talk with your doctor so you can get treated. 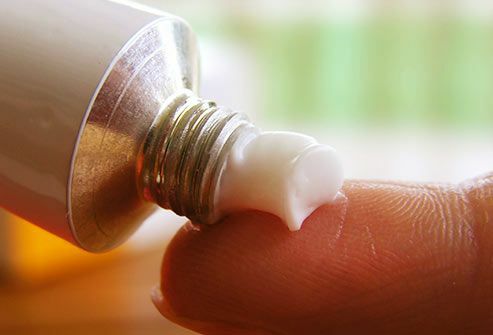 The first things you might want to try are lotions, moisturizers, or even heavy ointments like petroleum jelly. Chill them in the refrigerator before you use them for an extra soothing effect. Cool water or cold packs can also give you relief. Mineral oil-based Baker P&S solution or Derma-Smoothe FS scalp oil (a prescription corticosteroid) are two options. Put on either at night and cover with a shower cap to loosen scales. Then shampoo off in the morning. Some people say to use this on your scalp a few times a week. It’s long been used as a disinfectant, so it may burn a bit when you put it on. You can mix it with equal parts water to cut the sting. Some people like to use it full-strength and then rinse once it dries. But don’t try this one if you have cracks or open skin. It’ll really hurt! It may take a few weeks to notice a difference in itchiness. In general, check with your doctor before you try natural remedies. 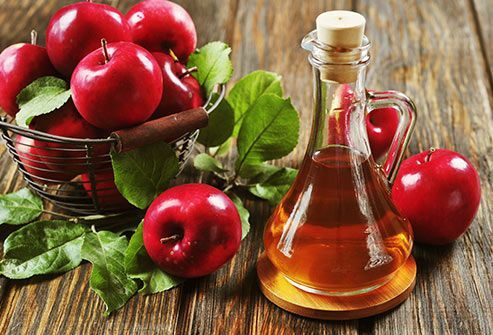 This is another natural remedy that some people say gives them relief -- but there aren’t any studies to prove it. You can pick up a shampoo with this oil in it. Before you go all in, try a little bit on your arm to see if you have a reaction. Some people are allergic to it. Antihistamine pills may also help. You can also ask your doctor or pharmacist about products with capsaicin in it and about anesthetics you put on your skin to numb itching. 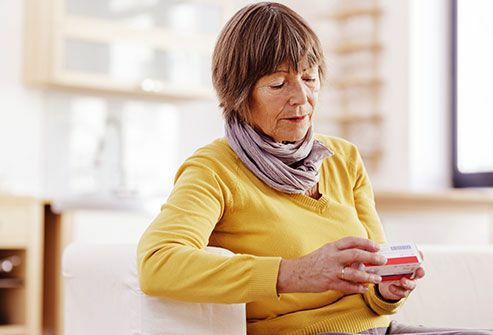 When the itch is intense, you can talk with your doctor about other options, including antidepressants (specifically ones known as "NaSSAs") and medications for neurological pain, like gabapentin. 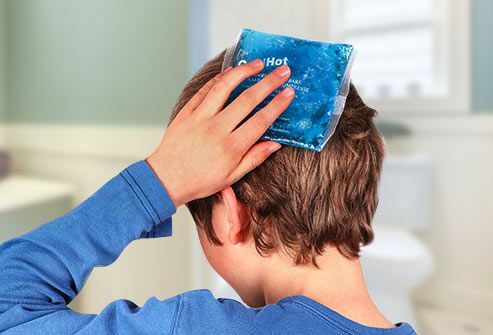 A flare-up can hurt, whether it’s because your scalp gets so dry that it cracks or you had to give in to scratching. But there are things you can do. The best way to keep it away is to treat and control your psoriasis. To keep scales in check before they can flake and crack, try a scale softening product (keratolytic). 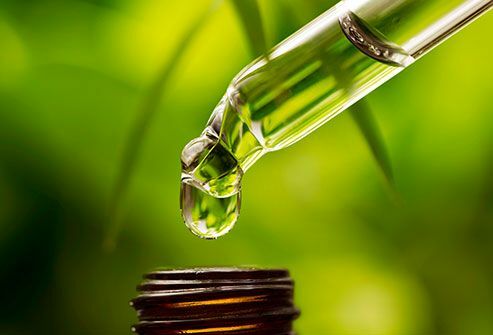 Look for these active ingredients: salicylic acid, lactic acid, urea, or phenol. Moisturize to lock in moisture, too. 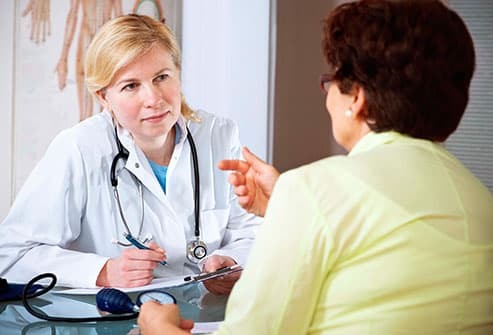 When over-the-counter medicines aren’t enough, talk with your doctor about other options. A prescription strength numbing cream that’s a combo of lidocaine and prilocaine (Emla) may help. Things can be tough when you have psoriasis. You may have to work every day to control the flakes, itch, and pain. Even the most optimistic people can get discouraged by treatments that work for a while and then don’t. And when people are rude about your condition, it can be that much harder to deal with. But remember you have many treatment options and ways to feel better. 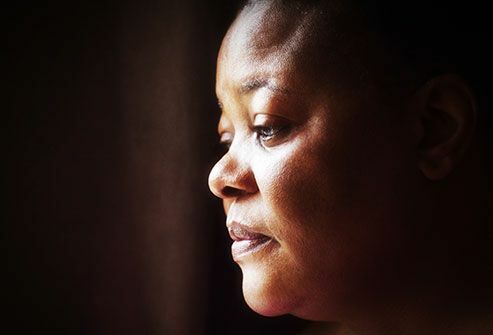 If you’ve been feeling low for a while, consider getting help from a mental health professional like a counselor. Build a good support system, too. 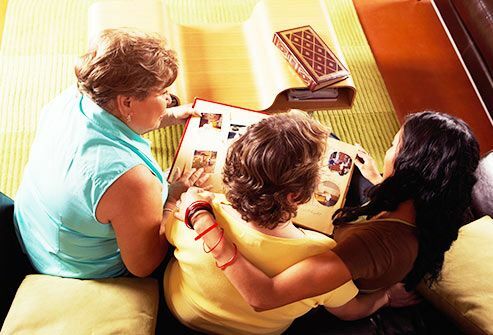 You can join a psoriasis help group through the National Psoriasis Foundation. It can make you feel better to talk about what you’re going through, especially with people who understand. They can help remind you that you’re more than your skin. If your scales get thick you can lose hair for a while. But it usually grows back once your psoriasis gets under control and your skin heals. 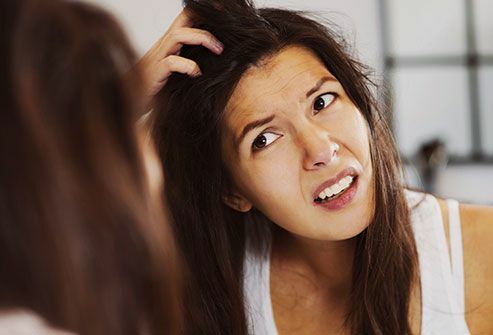 If you’re using salicylic acid as a treatment, it may cause hair breakage and loss. But it’ll stop once you stop treatment. The same thing can happen if you’re taking a retinoid. As a general rule, be gentle when you get rid of scales. And in the meantime, feel confident as you are. Or if you want some camouflage, use it as an opportunity to rock some new headwear, be it a hat, scarf, or wig. If shampoos, creams, foams, gels, or sprays aren’t enough to control your scalp psoriasis, your doctor may suggest other options. Ultraviolet B phototherapy -- light aimed directly at lesions, usually in a doctor’s office -- works for some people. 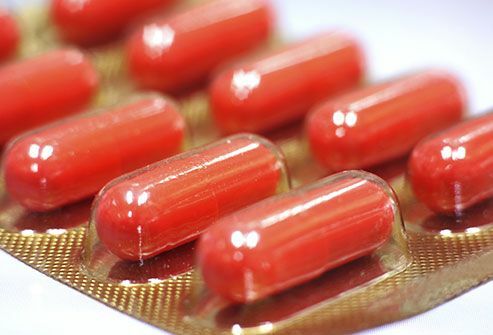 There are also medications called biologics. Some you take as a shot, others you receive through a vein (IV). They suppress the immune system. Speak with your doctor about your options. Dry air can make dry skin worse. 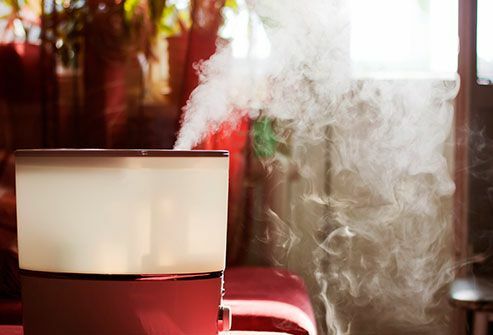 A home humidifier can help. Also, after you shampoo, try a good conditioner to seal in moisture. 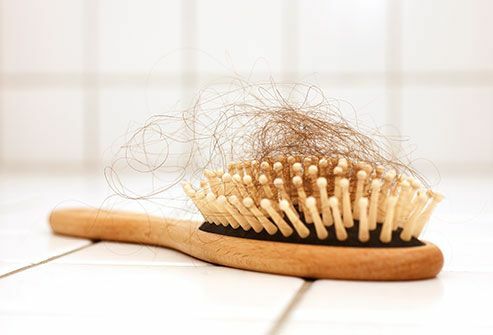 Remember that anytime you put something on to treat your psoriasis, gently rub it onto your scalp instead of your hair. That way it has a better chance of working. Stress is one of the biggest flare triggers. Pause each day to unwind. Do something you enjoy. Have a cup of tea. Stretch. 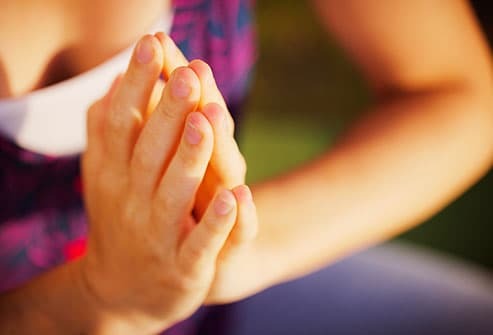 Call up guided mindfulness meditations online. 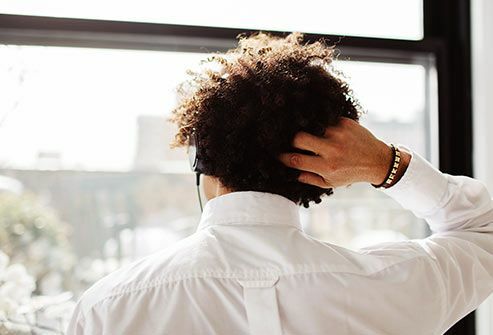 People who did UV phototherapy and listened to meditation tapes did better than those who just did phototherapy, according to one small study. You can also talk to a therapist. People with other skin conditions have had success with this. It’s helped them deal with stress and the emotional load that can come with skin issues. Other ways to avoid flares? Don’t smoke, and pass on alcohol. Set up a treatment plan with your doctor and stick to it. But don’t be afraid to talk with her about changing it if it’s not working. If you still haven’t gotten relief, consider getting a second opinion. When you work together, you can find a way to start feeling better. Benjamin Lockshin, MD, aassistant professor in the Department of Dermatology at Georgetown University, Washington D.C.